Security and education specialist Corero has set its sights firmly on organic growth following after raising over £4.5m in a conditional placing of 10.6 million ordinary shares. 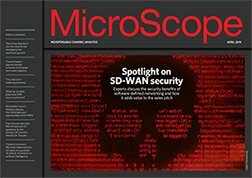 In an apparent about turn on its previously defined strategy of rolling up network security vendors, the firm said the proceeds would be used to target organic growth in 2012 and 2013 through investment in the sales and marketing function of the network security division, as well as its product roadmap. This, Corero said, will include some cash spend on deepening its channel relationships; the firm teamed up with distie Cohort earlier in February. "This placing will allow Corero to further penetrate the network security market and ensure that it is well placed to exploit opportunities in network security," said chairman Jens Montanana. "[We] have the technology to ffer viable and proven solutions. By using these fund to invest in marketing and sales personnel and further invest in product development, the company will be able to make this technology available to a greater number of potential customers," he added. In a recent trading update, Corero said it expected sales for the 12 months to 31 December 2011 to amount to £11m, up from £3m in 2010. Consolidated profit is expected to be "above breakeven". Corero Network Security took in sales orders of £7.5m with an average customer value of £29,000, it said. In dollar terms this was up slightly. The non-core legacy education business, Corero Business Systems, continued to be a solid performer in the UK, invoicing £5.1m in 2011, up 50% over 2010. Its strong showing came as a result of growth in the Academy market.